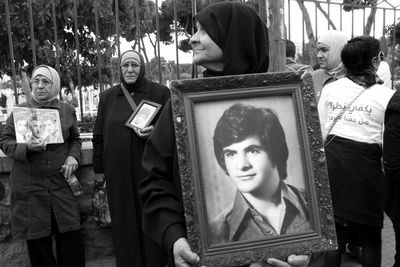 There are several thousand people who were missing and forcibly disappeared in Lebanon. 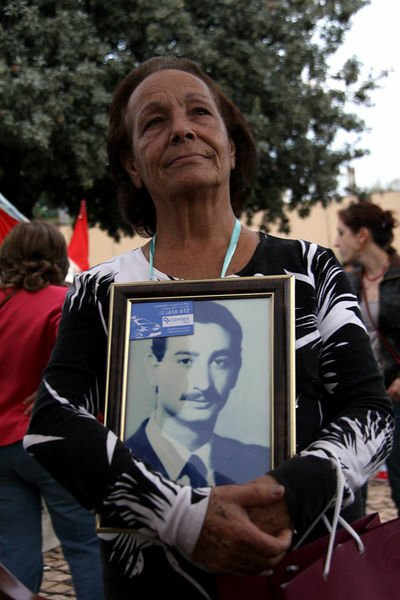 The great majority of them went missing during the Lebanese war (1975-1990) at the hands of Lebanese militias, as well as local and foreign armed groups. A woman holding a picture with tears in her eyes. She asks the government to find her husband saying, "Even if he's dead, give him to me, I want to bury him with my own hands." 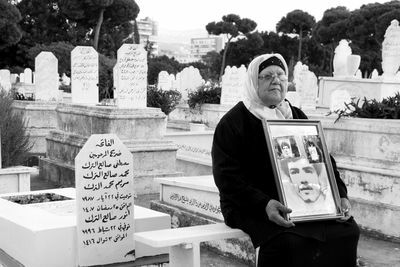 Over 17,000 people disappeared during the 1975-90 Lebanese Civil War. 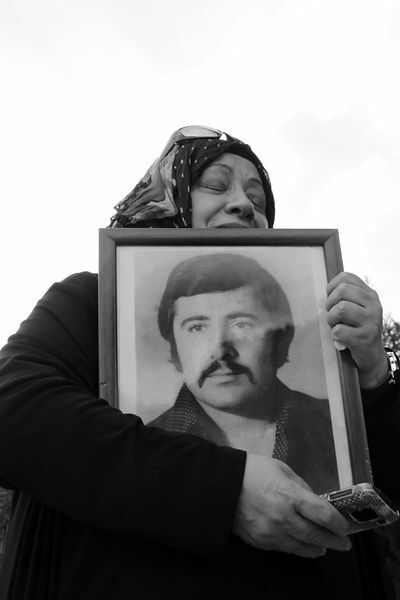 To date, the families of the disappeared continue to struggle for their right to know what happened to those who were taken from them, if they are still alive and, if it turns out that they have died, whether they can recover their remains. PICTURED: A woman holding her husband's photo in the cemetery.